Double J Saddlery! 14" Wide . This one is in stock or make your own. 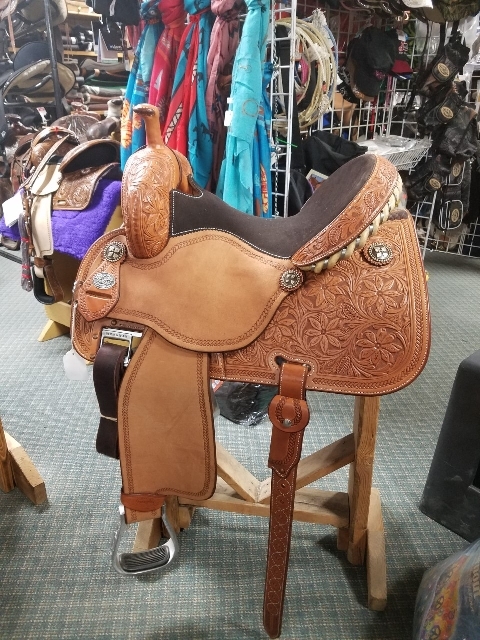 We can help you get the saddle you want. And we do trade-ins! We have MANY more saddles than these pictured! To get them all on here, I would have to sit behind a computer WAY too long! 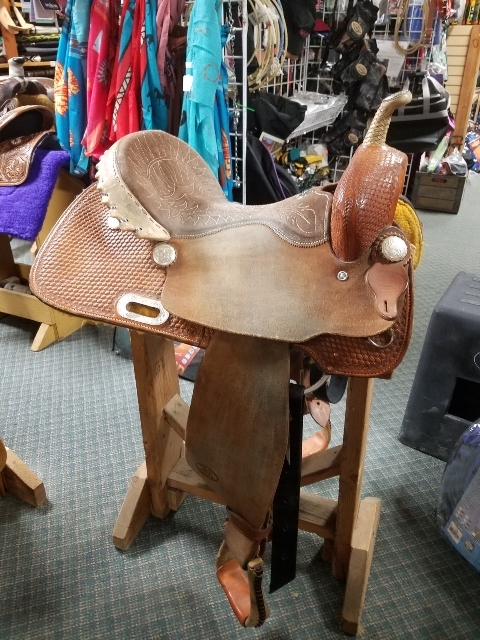 Sherry Cervi 14" Crown C- Awesome saddle! Designed by Sherry - you can see her elsewhere on our site, when we asked her design and fit questions. Beautiful!!! Buy this one or design your own. 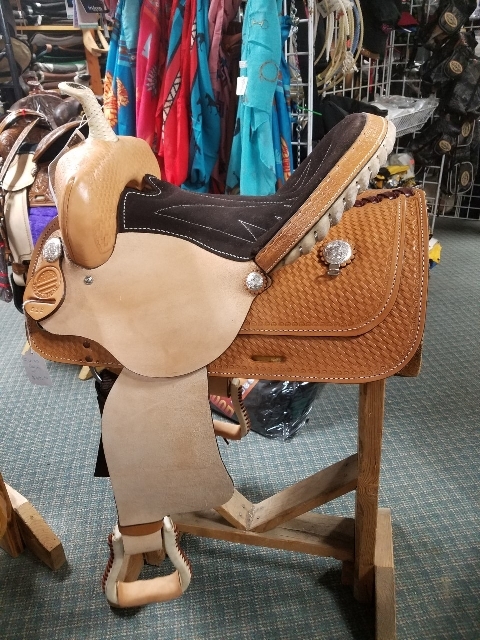 Come in and we can help you make your own custom saddle! Pictured 14" Natural Oil. Not in stock now. One is on the way! 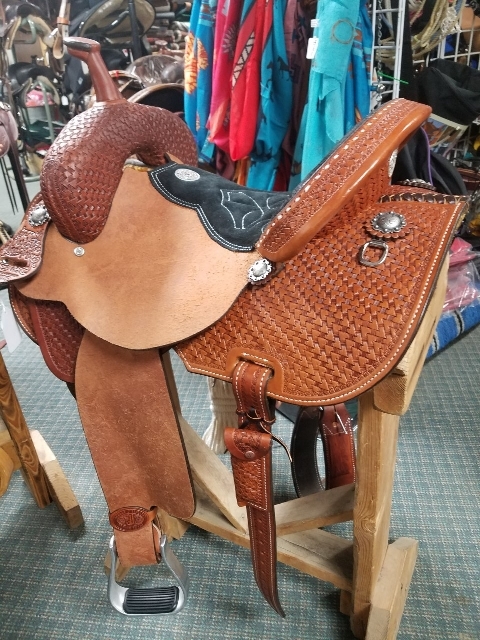 This saddle is 14" but we have other sizes in stock up to 17"! 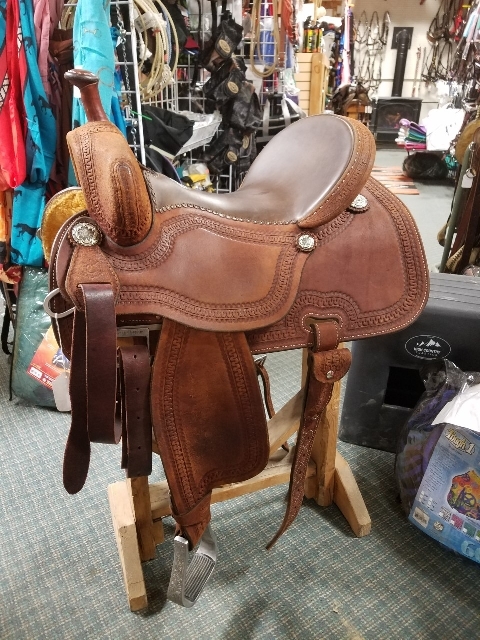 This is a very affordable saddle with a wide tree, and will fit a wide variety of horses! Come see! Billy Cook Barrel 15", Natural. Sound tree. The Real Billy Cook from Sulphur, Oklahoma. 15" Crown C by Martin Saddlery. Barely used! Great deal on this one. Wide tree. 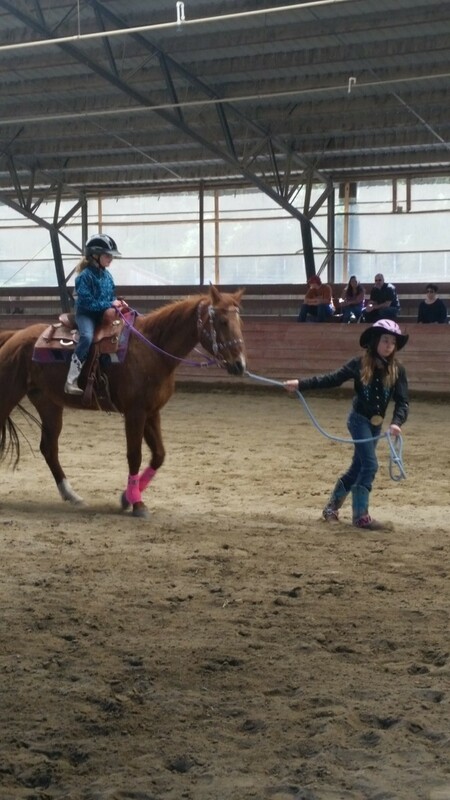 Skout is lead lining Olive at our Little Buck Gaming Series. Fun! Saddle up and go!